My music library is based on breath instead of depth. Instead of fifty recordings of Beethoven's Fifth I would prefer to have fifty recordings of different symphonies. Since I am always on the lookout for new composers and music one of my favorite threads in another forum is "Pieces that have blown you away recently". This is a thread where a person can post their experiences with a new work they have never heard before or a new composer. This would not be a thread for a person who already has fifty recordings of Beethoven's Fifth and he just acquired his fifty-first. This thread is for a person who had never heard Beethoven's Fifth and his initial exposure to it was awesome. I will start by talking about recent discovery for me. I subscribe to the BBC Music Magazine. One of the there CD's had some piano music of Ravel and Faure. I am not a fan of Faure. When the Faure train left the station I was not on it. This recording of some of his barcarolles and nocturnes blew me away. Try his string quartets. Any of his chamber music. Try LVB's late quartets, the harmonies, structure and dimensions are 100 yrs at least ahead of its times. I was recently blown away by Contretemps by Aperghis. I've heard only one work of his prior to this which I enjoyed...I think it was called 'Teeter-totter,' but it was certainly 'Contretemps' which has made me an Aperghis fan! Wow!! Very effective use of multiphonics with the woodwinds. From Faure to Brewaeys. This would drive some of the ultraconservatives in my old forum nuts. Re your link, you like this type of thing fair enough, but what is it that you find so enjoyable? I am serious and curious. Though I haven't heard Contretemps, I love Aperghis, ever since seeing some of his Récitations for solo voice. Recently the Talea Ensemble here has done Le Corps à corps, a short piece for solo percussionist. To address the thread, this blew me away. I find the vocal writing to be delightful in particular. Having heard it only once, i recall being very attracted to the orchestration and found the pace thrilling (especially during the first three minutes and similar moments to it). Do you like it as well? I'd be curious to hear your thoughts. 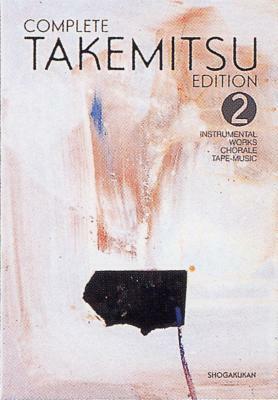 I've recently found many gems among the earlier Takemitsu works. I am all of the time running into Baroque composers that are not among the big three (Bach, Handel and Vivaldi) whose music I enjoy listening to. Just yesterday, Friedrich Gulda's Concerto for Cello and Wind Orchestra knocked my socks off. I was driving my car while listening and my three-and-a-half year old son danced all through the first movement on the rear seat. . I'll be sure to post lots in this thread when it's applicable, but I've pretty much listened to nothing but Stockhausen and Cage for the last two or three weeks in celebration of each of their birthdays (the two of them being, together, my two favorite composers and all). I'll get back to you when I'm listening to "new" stuff again. Glad to see Aperghis getting some love. I've find a lot of his music delightful as well. As a side note: I'm always thoroughly happy and amused to see how much COAG name drops any great composer he's only just discovered. The guy cherishes every new thing he finds in a very inspiring way. Ah the sound of the Shamisen, love this so much! I posted this in current listening but I think I might post it here as well. Whilst it didn't blow my socks off, it was really cool to see an example of how one might compose notated music for shamisen!!! Fujikura is one of my favourite composers very active today, and I'll probably be posting more of his stuff here down the track. As a side note: I'm always thoroughly happy and amused to see how much jessop name drops any great composer he's only just discovered. The guy cherishes every new thing he finds in a very inspiring way. Always happy to share the things I discover and find interesting, and I'm even happier to be introduced by others to music i haven't come across before! Same here, but they usually don't blow me away like Albicastro's concerto did. Last time a lesser-known baroque composer stopped me in my tracks was William Lawes. No I am not a fan of this type of thing and do not hear what you hear but I was curious, however this thread is not the place for that type of discussion. I did have another listen just in case I had missed something but could only stand it for 15 min as it seemed to my poor old ears to be much of the same I hear squeaky violins and tin can’s being hit, and a high pitched voice warbling on and on and on, perhaps I am just passed this kind of “music"
After decades of slighting Purcell I found a few years ago he's a first rate genius. Ginastera is one of my favorites. He ranks forty-seventh in my library. I have fifty recordings (now fifty-one) in my library. If I factor out the duplicates, like the five copies of Estancia I still have recordings of over forty works. Sony just released the only recording of Ginastera's opera Bomarzo. Of course I snatched it up as soon as it was released. I mentioned this in the "Purchases Today" Thread. I love it. Reminds me of a Spanish Lulu. If one likes Lulu and late Ginastera they will love this.